"Their critics blame offshore financial centers for a variety of ills. For example, they help corrupt businesspeople and bureaucrats launder profits from illegal activities, and they make financial oversight difficult. Nevertheless, while authorities in the U.S. and Europe appear to be restricting their activities, in reality they allow them to exist and flourish." The truth is that offshore banks help correct severe inefficiencies and imbalances in the global economy and allow the international financial system to function smoothly. Take money laundering. The illegal drug industry earns some $400 billion annually, with drugs sold in the U.S. alone estimated at some $150 billion. While indicative of some real failures in our society, the existence of such enormous underground flows is a fact of life. There has to be some kind of mechanism for accommodating them within the financial system. "Similarly, the new international class of the super-wealthy, while economically inefficient, requires a special banking system to cater to their needs, including tax avoidance." Is the author serious? We note that this was published on April 1, but still, it doesn't read like a classic spoof. 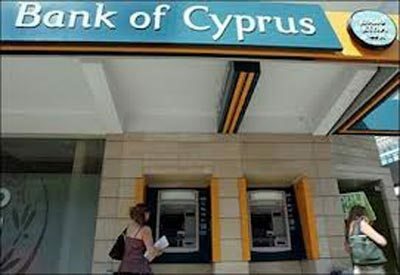 As most newspaper-readers know, Cyprus has for years been an offshore tax haven for Russian (and other ex-Soviet) money - clean, questionable and dirty. What it has been sellling, apart from certain tax attractions and secrecy, is non-compliance with international laws, and, crucially, with its own laws. It is, as are all tax havens, a 'captured state' - read the details of that here. Another article, more widely publicised, has been published by Forbes Magazine, which appears somewhat more down to earth, but which on closer inspection ends up in similarly lunar territory. "One thing that has greatly puzzled me in the discussion of all that Russian money that is in Cyprus is the way that it has been described as money as a result of tax evasion. Or perhaps tax avoidance, it depends on who is talking about it and how accurate they’re being about the distinction. I’m afraid this really isn’t correct." "Corporate income tax is 20%, again not a rate that normally has people fleeing for the doors of a taxing jurisdiction." This is one of those evidence-free assertions that we have seen repeated again and again by the defenders of offshore finance - an assertion that simply isn't true. Perhaps the author, Tim Worstall, might like to explain how the explosion of offshore-based tax evasion and avoidance that we've seen, particularly since the 1970s, has accompanied a dramatic fall in corporate and individual tax rates, in country after country around the world? No, high taxes aren't the prime cause of offshore tax avoidance or evasion. They do make a difference, but by no means the decisive one. The prime factors behind this rising tide of criminality and abuse include the rise of a virulent anti-tax rhetoric, particularly since the 1970s, combined with the increasing ease of going offshore to evade and avoid taxes. This latter development stems from a combination of technological advances which sees billions flit back and forth at the touch of a computer mouse; along with the growth of a pinstripe infrastructure of banks, accountants, lawyers and corporate services providers who aggressively court customers in places like Russia, plus the proliferation of 'efficient', no-questions-asked, no-pesky-barriers-erected, tax havens like Cyprus to help the wealthy clients and their advisers do the job. "Corporate ownership isn’t entirely secure. . . . personal ownership of corporations isn’t entirely secure either. "And thus the round tripping to Cyprus. Take the money out of Russia, then reinvest it back in. But now it will be counted as “foreign” capital. Which leads to two things. The owners don’t have to be known to the successors to the no-neck thugs. Nor, perhaps, to competitors who might want to use the legal system to do them harm. Further, when you invest from outside you can specify, in your investment contracts, where arbitration or legal cases are to take place. And believe me, no one but a total and absolute fool accepts that such should take place inside the Russian Federation. London or Stockholm are the two usual places: although there are indeed others." So the author takes these two elements offered by a tax haven such as Cyprus: the secrecy, and the stable legal bedrock, to be unequivocally good things. Now let's unpack all this, piece by piece. First, he is asserting here, effectively, that it is a good thing for wealthy Russians to be able to shroud their assets in secrecy. Does he really want to make that argument? Really? We have a whole stash of answers to this, in a document entitled The Non-Perils of Information Exchange. Please read the whole thing, as it's a useful document all by itself. Today we'll merely note a couple of its arguments. The assertions he makes in the section cited just above here are, as far as they go, significantly (but not wholly) true. As we've noted many times in the past, British tax havens, for example, provide, among many other things, the bedrock of a respected legal system -- which is, among other things, why Russian oligarchs like to spar it out in London courtrooms, not in Moscow. But this is not where the story ends. First, he curiously omits to mention that the secrecy also effectively prevents these individuals from being known to their own government, which may well be pursuing them for tax crimes, for mafia activity, or whatever. Or it would be pursuing them, if it had the information. And Worstall is arguing that this is a good thing. Notwithstanding the negative things one might say about Russia's government, we beg to differ. Second, he says that "no one but a total and absolute fool accepts" that Russian businesses should be in thrall to Russian property laws and their like. What he means to say, of course, is that "no one but a wealthy person with the ability to pay for offshore shenanigans accepts" that their businesses should be in thrall to Russian laws. In the offshore game, of course, the "fools" are the poorer sections of society. Both these above points get us into a major, existential question about what the offshore system is and does. It provides escape routes for the wealthiest sections of society, from the laws and rules that bind everyone else. If a country has unjust laws or is poorly governed, should we consider it a good solution to provide the small, wealthiest and therefore most influential section of the population with offshore escape routes from those unjust laws, leaving everyone else in the lurch? Is this really a wise route to better governance? Of course it isn't. And it's nonsense to suggest otherwise. It may be perfectly rational for investors to take advantage of the offshore escape route, but that isn't the same as saying it's a good thing. Not at all. Consider a thought experiment, where capital is bottled up in the country where it is earned, and Russia's élites also have to make do with the Russian legal system. Suddenly the most influential section of the population - including many of those in government -- would have powerful incentives to make an unjust and capricious legal system less unjust and less capricious. "Vladimir Putin, the Russian president, has moved to inject some moral fibre into the country’s top-level bureaucrats and state employees by giving them a three-month deadline to close their foreign bank accounts and divest themselves of offshore assets – or face the sack." "For a long time, many in the elite saw Russia as a hunting ground – they would keep their money and live somewhere else." “There is a sort of algorithm [in Russia] for civil servants. You stash a lot of money abroad, send your family to live there, and then when you retire, you join them." The stable British legal bedrock underpinning much of the global offshore system is a big part of the explanation for this, as is the secrecy. Clearly, reliable courts are generally a good thing, and in this particular case these facilities are very good for those lucky people who can, say, afford an apartment in One, Hyde Park in London. But is this ability to sluice looted assets offshore, good for Russia as a whole? That is a very different matter. The difference between us and the Forbes contributor is that he sees the problem through the Ralph Lauren eyeglasses of Russia's wealthy élites, while we see the problem through the prism of ordinary Russians who can't afford to pay pricey lawyers in Nicosia and London for the paperwork for their corner shop. "Some have compared the vast upward redistribution of wealth in Russia after the fall of the Soviet Union to the era of the robber barons in the United States in the nineteenth century. But there is a crucial difference. The Americans didn’t have a huge offshore network in which to hide their money. In spite of their many abuses, the barons concentrated on domestic investment. While they fleeced unwary investors and subverted the political process, they also built the country’s industrial prosperity. They left America stronger, and in time the state was able to rein in their worst excesses. But in late- twentieth-century Angola and Russia the money simply disappeared offshore for ever." There are many reasons for the criminalisation of the Russian state, but the availability of low-tax and zero-tax secrecy provided by Cyprus and various other tax havens, many of them British ones, has been a major, even massive, contributory factor. A good thing? We think not.